Home Lifestyle Health & Wellness Do You Practice Safe Sun Habits? 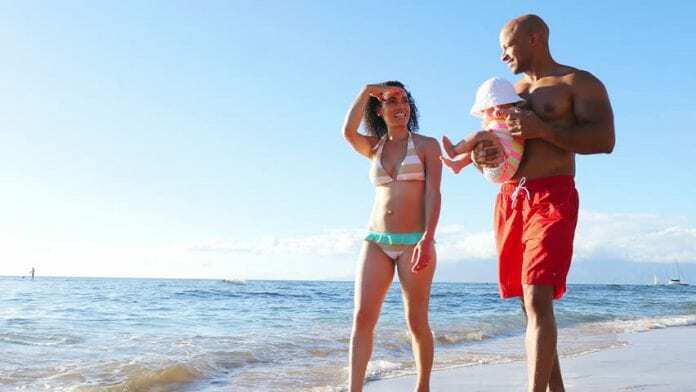 Over the past three decades, more people have had skin cancer than all other cancers combined, according to The Skin Cancer Foundation, making proper sun protection a must. As you enjoy time outdoors, it’s important to understand and follow sun safety guidelines. A new survey reveals some surprising facts. When moms with children younger than 18 were asked about the correct amount of sunscreen needed to apply to the face and body, fewer than half knew the right amount. And nearly two in 10 were unaware that after an initial slathering of sunscreen, they needed to reapply more. So says a new survey of moms commissioned by NO-AD Sun Care. “By the time you feel your skin burning, the sun’s UV rays are damaging your cells’ DNA. Skin cancers get a foothold when this damage affects the DNA of genes that control skin cell growth,” says Dr. Kirkpatrick. The cost of sun protection may become a concern as families begin to apply the proper amount of sunscreen. If that is the case, one cost effective choice is NO-AD, which offers a selection of products that are affordable and widely available. Beautiful summer skin is all about making safe sun care a habit. A routine is easier when you find products you will love to use. Look for lightweight, fast-absorbing formulas comprised of ingredients that have benefits for skin. For example, Ocean Potion offers formulas with sea kelp, Vitamins D3 and E, and a pleasant orange cream scent. The line is PABA-free, (which is an allergen for some people.) For those who want to avoid the sun altogether, a self-tanner such as Ocean Potion EverGlow, can help you get the sun kissed look without the exposure. Don’t let summer fun distract you from protecting skin from harmful UV rays, every time you leave the house.